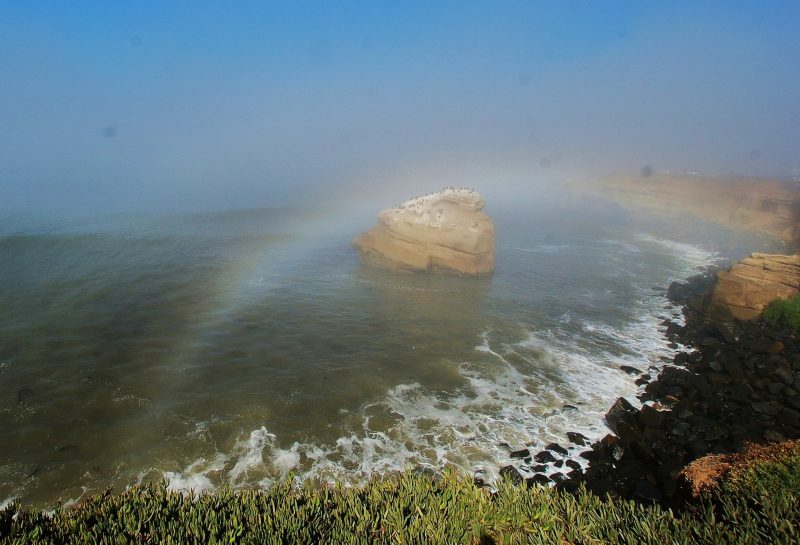 Fogbows are rainbows’ cousins – made by much the same process – but with the small water droplets inside a fog instead of larger raindrops. 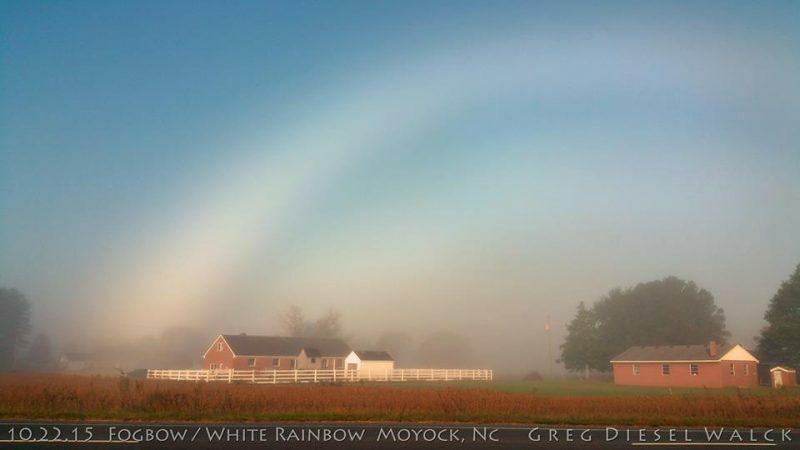 Fogbows – sometimes called white rainbows, cloudbows or ghost rainbows – are made much as rainbows are, from the same configuration of sunlight and moisture. Rainbows happen when the air is filled with raindrops, and you always see a rainbow in the direction opposite the sun. 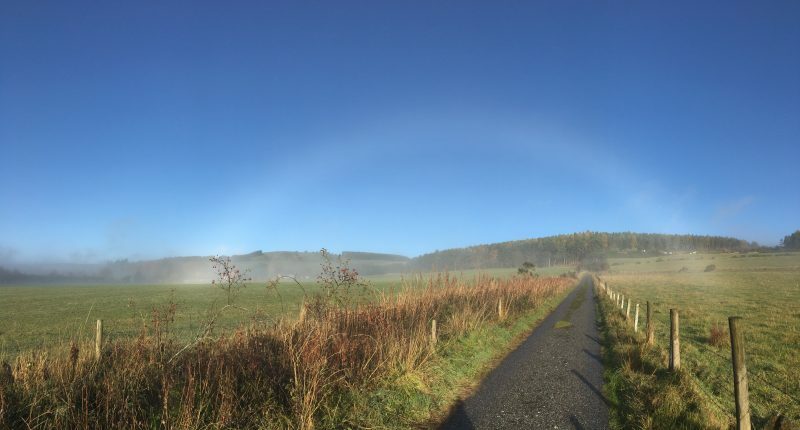 Fogbows are much the same, always opposite the sun, but fogbows are caused by the small droplets inside a fog or cloud rather than larger raindrops. Look for fogbows in a thin fog, when the sun is bright. You might see one when the sun breaks through a fog. Or watch for fogbows over the ocean. Because the water droplets in fog are so small, fogbows have only weak colors or are colorless. 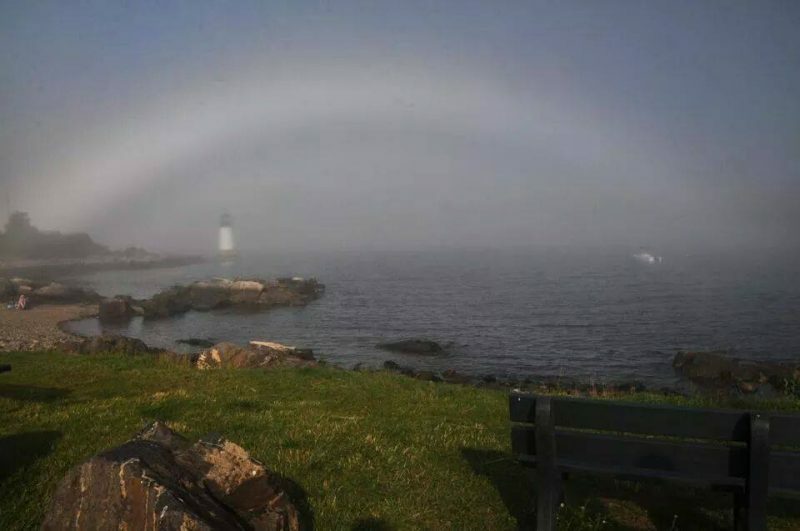 Katherine Keyes Millet captured this fogbow in July 2014 at Winter Island Park in Salem, Massachusetts. 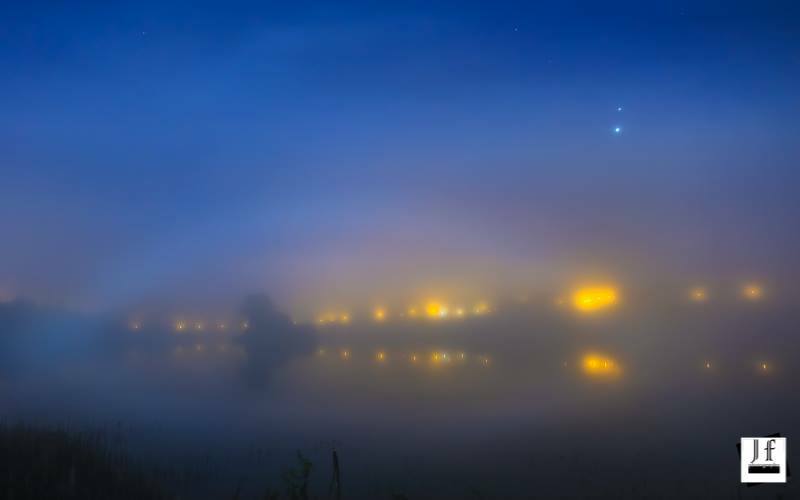 Venus and Jupiter above a fogbow in Blacklough, Dungannon, Ireland. 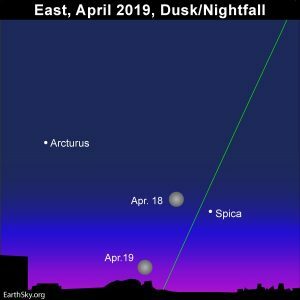 Mars is up there, too, but tough to see. John Fagan captured them all in October 2015. 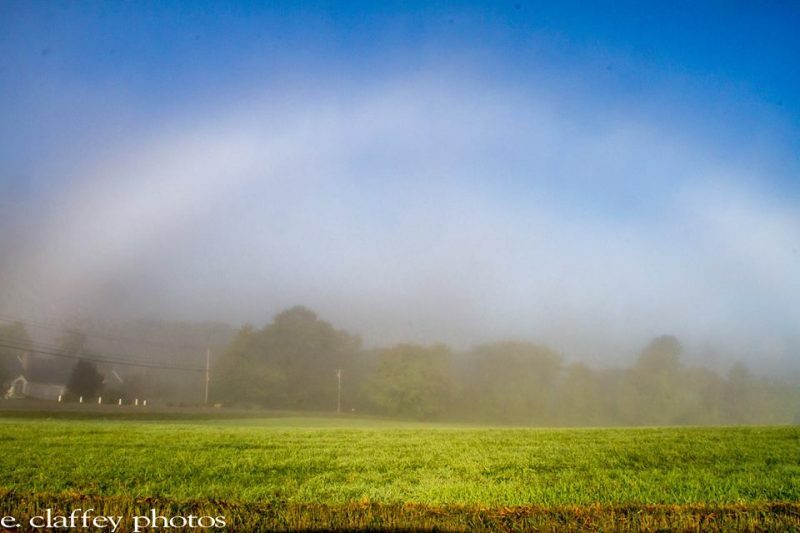 Eileen Claffey in Brookline, Massachusetts, captured this fogbow over a field in September 2014. 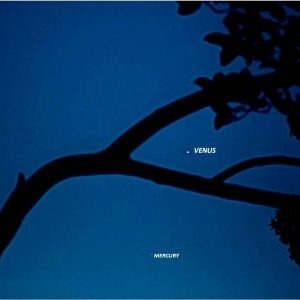 Look away from the sun and at an angle of 35-40 degrees from your shadow which marks the direction of the antisolar point. Some fogbows have very low contrast so look for small brightenings in the misty background. 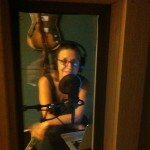 Once caught, they are unmistakable. The sun must be less than 30-40 degrees high unless you are on a hill or high up on a ship where the mist and fogbow can be viewed from above. 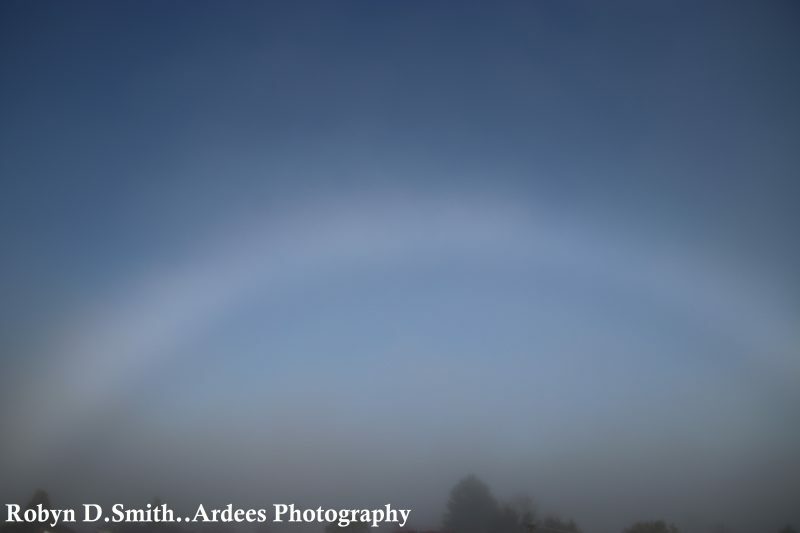 Fogbows are huge, almost as large as a rainbow and much, much broader. Look here for Les Cowley’s explanation of how fogbows form. 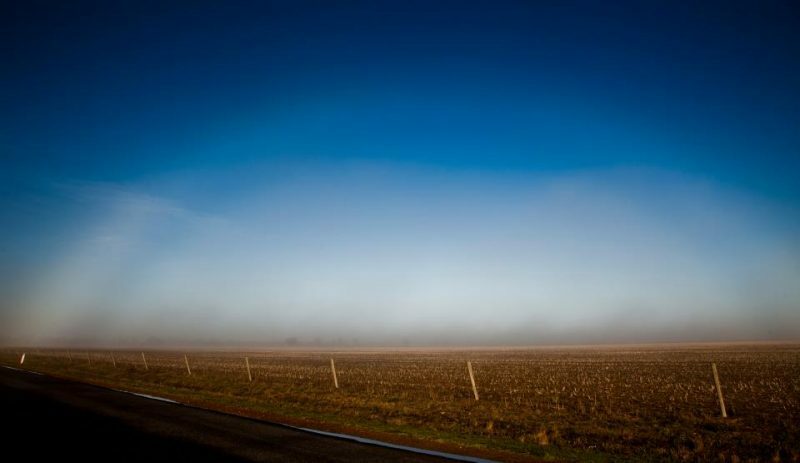 Lynton Brown of Australia captured this fogbow over a barren field in the autumn of 2012. 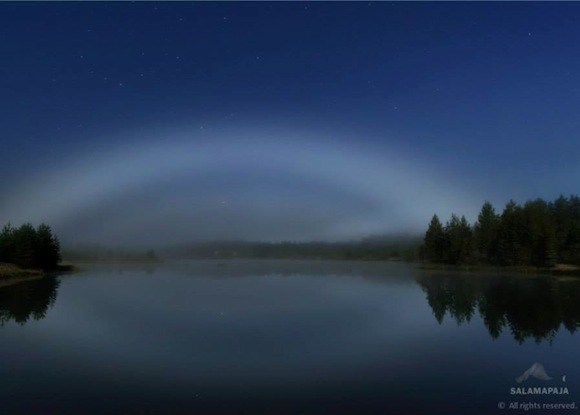 Bottom line: Fogbows are made by much the same process as rainbows, but with the small water droplets inside a fog instead of larger raindrops. Because the water droplets in fog are so small, fogbows have only weak colors or are colorless.